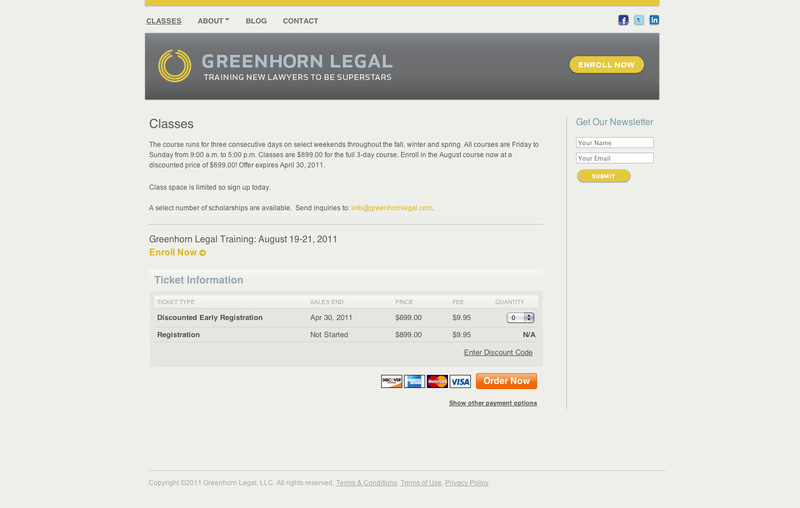 Greenhorn Legal offers a comprehensive 3-day legal-practice training program for law students and new lawyers. 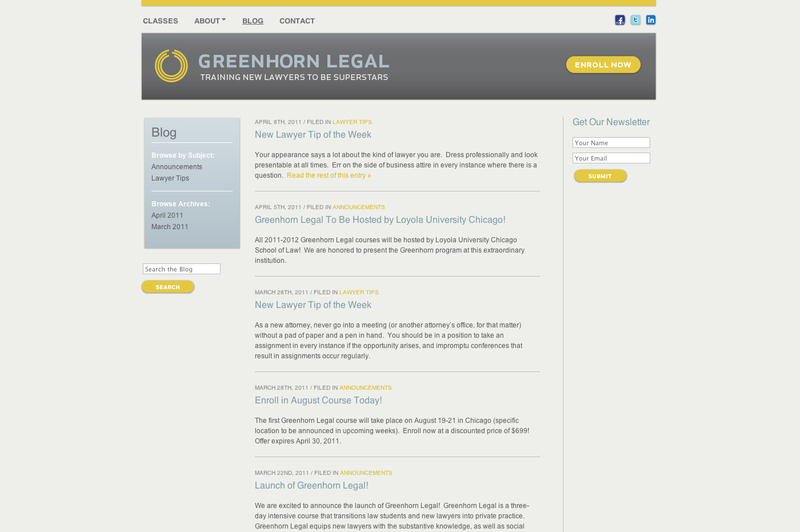 It teaches practical skills missing from a traditional legal education. The client wanted something clean and no-frills, but still smart and attractive””credible in the industry but also appealing to a younger demographic. 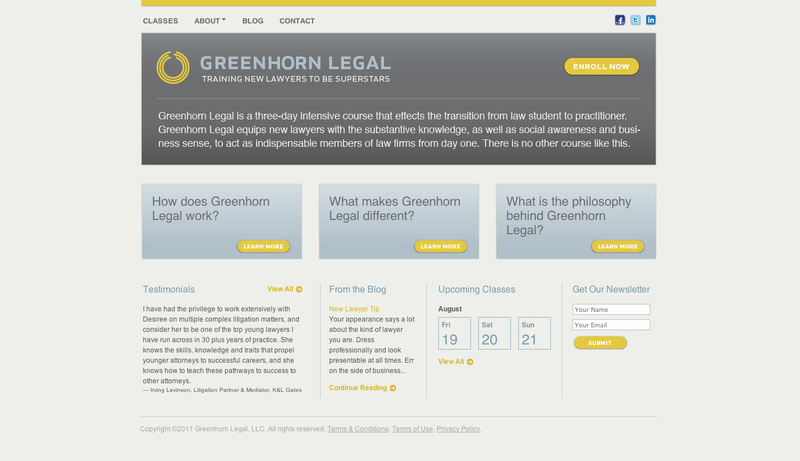 In addition to information about the program, and an engaging blog, the site also allows visitors to register and pay for the classes. Hazen also designed the identity.